Pinterest has some of the most creative, delicious recipes that I’ve ever seen. One of these is a French twist on an American Classic… s’more croissants! I have some in the oven right now. To see the recipe on Northern Cottage, click here. And now for the more serious portion of this particular post. 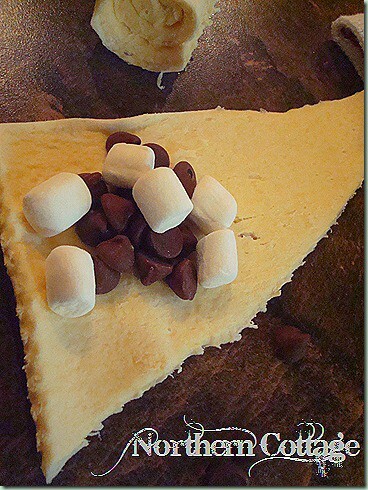 S’mores are part of a camping memory that many Americans cherish from their childhood. Every day, children in Africa are sold into slavery on the Ivory Coast to farm cocoa beans. Humanitarians and activists have been after the major chocolate companies to reduce the heinous practices that go into farming the cocoa bean, but it hasn’t been wiped out completely. Do your part to stop this, buy certified Fairtrade or Organic chocolate!